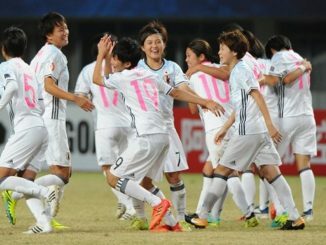 Japan recently won the AFC Women’s Asian Cup Final with the only goal of the game against Australia, watched by over 3,000 at the Amman International Stadium in Jordan. 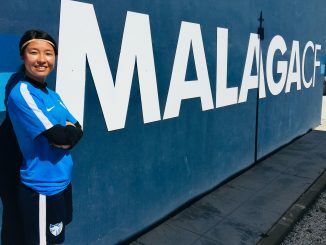 Kumi Yokoyama broke the deadlock with only 6 minutes left to play, firing home from outside the box after being set up by Yui Hasegawa. The 1-0 result for the Nadeshiko over the Matildas was a repeat of the previous tournament final in China four years ago. China won the third-place match 3–1 over Thailand with three goals in a ten-minute spell. Li Ying, Wang Shanshan and Song Duan all got second-half goals before a consolation from Rattikan Thongsombut. The semi-finals had seen Japan defeat China 3-1 and Australia edge Thailand 3-1 on penalties, the latter pair having finished all square at 2-2 after extra-time. All the top five teams qualified for the World Cup in France next summer, including South Korea who were 5-0 winners over the Philippines in the fifth-place play off. 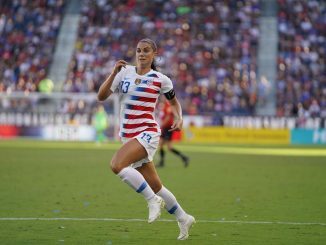 Jordan may not have managed to get off the mark in the group stages but their opening match (a 2-1 loss to the Philippines) was watched by a crowd of almost 10,000.